SpaceRef is sending a team of three people to cover the 28th National Space Symposium. We would be pleased to cover your story and make new connections. Please contact one of us to arrange a meeting or interview. Below you will find news releases, our stories and video interviews from the Symposium as we post them. Switching out a spacecraft maintenance facility is definitely not an easy task. Besides the obvious requirements to contain toxic fuels and provide enough power, there is also the work of deciding what previous structures will be useful to new contractors. SpaceRef had the opportunity to sit down with Dr. Scott Hubbard at the 28th National Space Symposium in Colorado Springs. Dr. Hubbard is professor of aeronautics and astronautics at Stanford University. He has been engaged in space-related research, as well as program, project and executive management for more than 35 years, including 20 years with NASA, culminating as director of NASA's Ames Research Center. SpaceRef had the opportunity for a brief conversation with Chummer Farina at the 28th National Space Symposium in Colorado Springs. Mr. Farina is vice-president of policy, external and government relations, communications and public affairs at the Canadian Space Agency (CSA). Our discussion revolved around the current status of the Canadian Space Agency and some of the milestones being celebrated in 2012 by Canada as a space nation. While a recent agreement signed between Canada's and Japan's space agencies is an extension of previous work, a JAXA vice-president noted at the National Space Symposium that the two countries could collaborate on launch opportunities as a result of the memorandum of understanding (MOU). A conversation with Jim Chilton and John Mulholland of Boeing. Mr. Mulholland is Vice President and Program Manager - Commercial Programs, Space Exploration while Mr. Chilton is Vice President and Program Manager Exploration Launch Systems. With the prospect of a weaker domestic market for Canada's space sector companies, foreign markets become all that more important. Which is why this past week many Canadian companies trekked to Colorado Springs, Colorado for the annual National Space Symposium. SpaceRef had the opportunity to sit down with Dr. Leroy Chiao at the 28th National Space Symposium in Colorado Springs. Dr. Chiao is a veteran of four flights into space and was the Expedition 10 commander and NASA science officer on his last mission to the International Space Station. The Planetary Society is still worried about the future of American capabilities in planetary science, but is encouraged by an increased level of funding proposed for the fiscal 2013 budget, said executive director Bill Nye. The importance of space should be expressed in terms beyond everyday applications, according to a panel of science personalities speaking Thursday at the National Space Symposium in Colorado Springs. Amid the talk of international collaboration and co-operation at a panel of space leaders, NASA deputy administrator Lori Garver found herself answering questions about the cancellation of NASA's commitment to ExoMars, and the lack of launch capability for astronauts on American soil. SpaceRef had the opportunity to sit down with Dr. Neil deGrasse Tyson at the 28th National Space Symposium in Colorado Springs. The conversation centered around his idea of doubling NASA's budget as it would spur innovation and fuel the economy. We also discussed his latest book, Space Chronicles: Facing the Ultimate Frontier. Hydrazine, a mainstay fuel of the space program since the early days, now has a competitor that is easier to store and - when taking all costs into account - is the same price. It's a tricky balance when a country seeks to protect its own borders, but also needs to find international partners to get the job done. This is perhaps most readily demonstrated in the space arena. There was a time when voice communications was the only way that controllers on one launch range in the United States could convey status information on missions. They found this was difficult to do during the more hectic parts of the launch, because they would need to memorize a lot of information quickly. When it comes to satellite images, speed matters. Hurricanes can shift tracks in a matter of hours. Flooding can quickly overtake an area, and then recede. The next challenge for mapping providers will be to not only provide these images quickly, but also provide the analysis necessary to act upon the data they present, said Jack Hild, vice-president of United States defense strategy at DigitalGlobe, in an exclusive interview with SpaceRef at the National Space Symposium in Colorado Springs. A conversation with Elliot Pulham, CEO of the Space Foundation hosts of the 28th National Space Symposium. There is a growing industry frustration with ongoing budget cuts in the Obama administration, particularly with regard to defense spending reductions on tap for 2013. A defense spending plan submitted to Congress in February proposes a one-per-cent drop in the Pentagon's base budget to $525.4 billion, and may see reductions of 100,000 jobs - particularly since the United States has pulled out of Iraq. Even the established space players are facing challenges getting contracts these days. The United States government is looking at ways of trimming its spending. NASA is reconfiguring its human space flight focus. Commercial clients are trying to make their way in a bull market. How does one keep the government as a reference client even in the face of declining budgets? This is the problem Raytheon has been trying to solve ever since the recession started, according to executives interviewed by SpaceRef Monday at the National Space Symposium in Colorado Springs. Only two weeks after a Proton rocket upper stage failed to deliver the Russian Express-AM4 to its expected orbit in August 2011, Roscosmos - the Russian space agency - cleared the rocket to launch again. There is no lack of new space resources available to emerging players in the space industry. Low-cost satellites and more affordable broadband are allowing the wide dissemination of data. Gwynne Shotwell says she's looking to change the perception of SpaceX from a mere low-cost rocket provider to one that is designing spacecraft capable of carrying humans. In the new space race, the sweet spot between affordability and reliability is where commercial launch providers will find the most success. At the 28th National Space Symposium in Colorado Springs SpaceRef sat down with NASA Deputy Administrator Lori Garver for a short conversation. Implementing "agile" networks on legacy infrastructure will be the main concern of cybersecurity industry players in the coming years, according to a panel held Monday afternoon at the 28th National Space Symposium being held this week in Colorado Springs. A vice-commander with the United States Air Force Space Command outlined cybersecurity opportunities for industry at a speech Monday at the 28th National Space Symposium being held this week in Colorado Springs. Managing cybersecurity risk is the more appropriate approach than seeking to make systems risk-free, according to a cyber industry panel held Monday at the 28th National Space Symposium being held this week in Colorado Springs. When the Fast, Affordable, Science and Technology SATellite (FASTSAT) went on orbit Nov. 19, 2010, the planned mission was for 12 months. FASTSAT, developed by Dynetics in partnership with NASA's Marshall Space Flight Center (MSFC) and the Von Braun Center for Science and Innovation (VCSI), has exceeded expectations and completed 17 months of mission operations on orbit, demonstrating capabilities of an affordable ESPA class satellite. The mission has been extended through at least October 2012. Ball Aerospace & Technologies Corp. is the sponsor of the Space Foundation's Exhibit Center and Pavilion at the 28h National Space Symposium, "Opening the Aperture" for new technologies, performance and innovation. 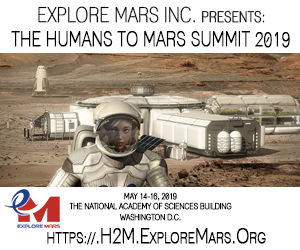 The Symposium will be held April 16-19 at the Broadmoor Hotel in Colorado Springs, CO.
NASA Administrator Charles Bolden and Deputy Administrator Lori Garver will provide remarks next week at the 28th Annual National Space Symposium in Colorado Springs, Colo. The event will be held at The Broadmoor Hotel, located at 1 Lake Ave. in Colorado Springs. 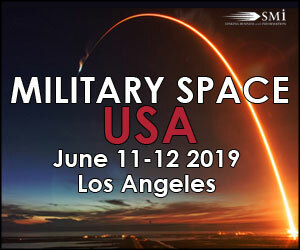 BAE Systems will showcase a range of capabilities for space and military customers and host a media briefing on its 45-nanometer technology at the National Space Symposium, April 16-19 at the Broadmoor Hotel in Colorado Springs, Colorado. 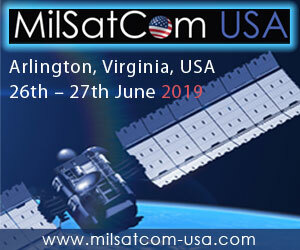 The company provides new technologies, operations support, and the sustainment of equipment and facilities for customers that include NASA, U.S. Air Force Space Command, and the U.S. Army Space and Missile Defense Command. The Boeing Company will spotlight its satellites, human spaceflight activities, cyber capabilities and advanced space development at the Space Foundation's 28th National Space Symposium. This year's event takes place April 16-19 at The Broadmoor in Colorado Springs. The Space foundation today announced the availability of the 2012 edition of the Space Report to media today and to the public next week. According to the report the global space economy grew to $289.77 billion in 2011, reflecting a surprisingly robust single-year expansion of 12.2 percent and five-year growth of 41 percent* in a global economy that has been suppressed in many other sectors. The Space Foundation has announced the winners of its 2012 Space Foundation Student Art Contest co-sponsored by ARES Corporation and Fisher Space Pen Co. The 36 winners came from seven states and the country of Pakistan.